Shiseido Tsubaki has always been my ideal shampoo and conditioner brand for over a year now. 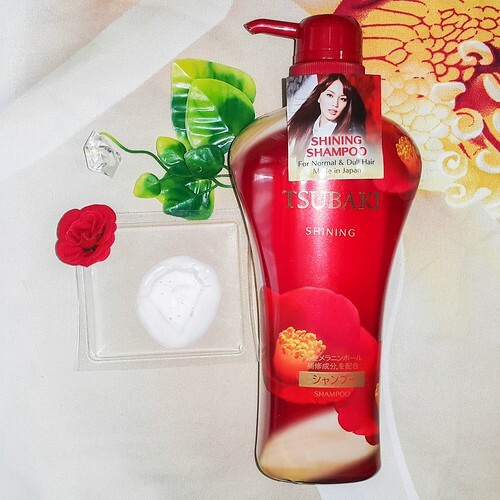 I started using Tsubaki Shining range since 2013 when my sister randomly picked up a bottle of Tsubaki Shining shampoo and conditioner from Japan. I simply gave it a try and it was AMAZING. 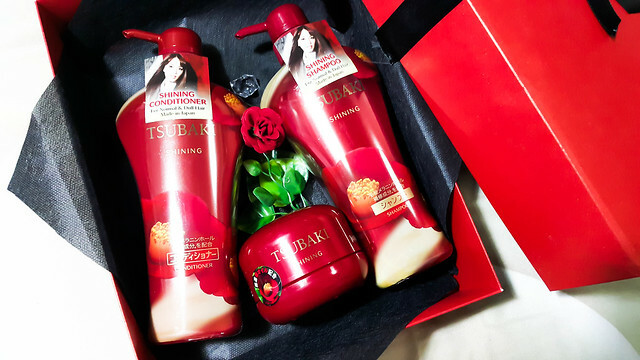 Since then, I fell in love with this impressive hair product and I've been using Tsubaki Shining shampoo and conditioner until today! 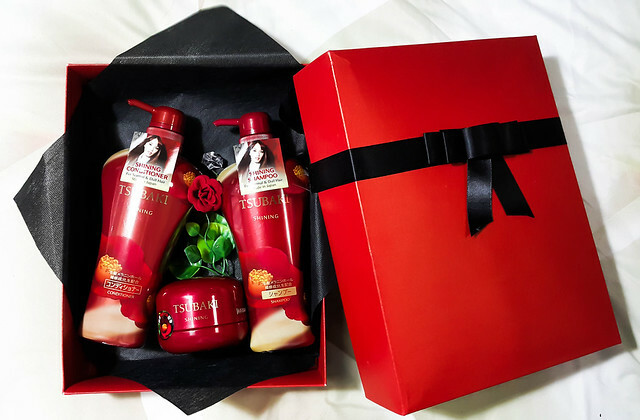 Tsubaki (a.k.a camellia flower in Japanese) is a premium hair care brand from Japan and it is the only brand that contains camellia oil in it's ingredient. The use of camellia oil is an ancient Japanese beauty secret to create the glorious smoothness and sheen of Japanese hairstyles. Camellia oil work wonders as it protects and coats hair to dramatically improve hair shininess and smoothness with shine sensor mechanism. Camellia oil also has a light sweet floral fragrance that lingers in the hair. What causes hair to loss shininess? Hair melanin can loss daily due to UV and other factors. It creates holes that causes irregular reflection and loss of shine of hair. How to get back shine and Shine From Every Angle? The amazing thing that this conditioner do to my hair is maintain the moisture and when I touch my hair it does not feel tangled at all. This conditioner is very thick, creamy and it spread onto my hair ends easily. I usually leave the conditioner on my hair for a few minutes before I rinse it off and it has a similar scent to the shampoo. This conditioner keeps my hair silky smooth even when my hair is wet. I usually can't run my fingers through my hair but after using this conditioner, my hair is easier to comb and no longer frizzy. This hair mask works as my weekly hair and scalp treatment. It brings continuous penetrative treatment for deep moisture replenishment to the hair core. This hair mask repairs and conditions my dull and rough hair resulting in softer hair with lustrous shine. It is thicker, creamier and have the same scent as compared to the conditioner but is blended with ingredients of continuous treatment. 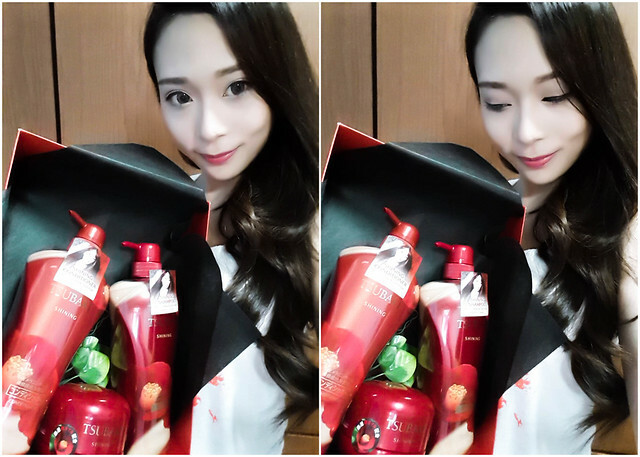 It keeps my hair shiny and healthy all day long due to the continuous moisturizing effect. 1. Once a week, massage mask from scalp to hair tips. 2. Wrap hair and leave on for 20 minutes. My all-time favourite shampoo and conditioner is definitely Tsubaki Shining. My hair used to be very dull and dry due to uncountable hair chemical services throughout the years. I love long hair but it is such a hassle to maintain long hair. A girl like me will never give up a single inch of my hair even when it's in a very bad condition. After using Tsubaki Shining for more than a year, my hair never look so healthy and shiny before and I am so impressed! I can comb and style my hair as I want without afraid of my hair looking dull. 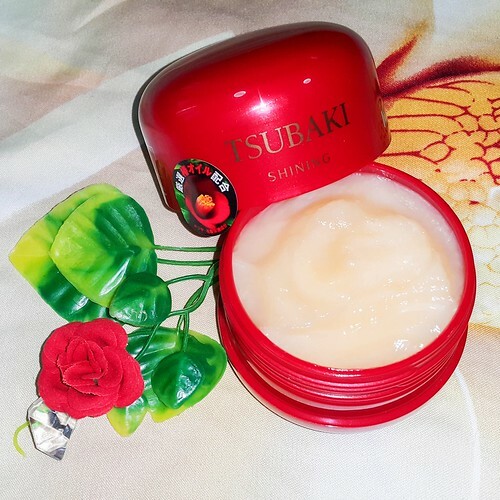 Thanks to Tsubaki Shining I can now have lustrous smooth, healthy and deeply moisturized long hair, not forgetting the pleasant and lovely fragrance of Tsubaki that lingers on my hair. Tsubaki promises one thing, SHINE FROM EVERY ANGLE.